Complete Chiropractic care is provided. 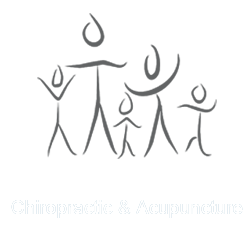 FFCA is primarily a family based practice. Office hours available Monday thru Friday with weekend hours available by appointment. The Boughton Road Clinic is primarily a personal injury based clinic. This has given me exposure to medicolegal issues. Responsibilities included: billing Medicare, insurance companies, and patients; implementing college-wide computer software Medsys as well as training faculty and staff, and training interns to run the front desk and ordering supplies. Responsibilities included: facilitating patient care, organizing community outreach projects, supervising 4 th trimester interns. Responsibilities included: identifying chromosomal abnormalities for various cancer research studies, caring for over 2,000 research rats, identifying special strains of rats using the PCR technique, organizing the data for a number of studies. 'Induction of Hepatic Aneuploidy in vivo by Tamoxifen, Toremifene and Idoxifene in Female Sprague-Dawley Rats' Carcinogenesis. 17(5):1051-1056, May 1996. 'Tamoxifen Induces Hepatic Aneuploidy and Mitotic spindle Disruption after a Single in vivo Administration to Female Sprague-Dawley Rats' Cancer Research. 54(13):3357-3360, July 01, 1994. Responsibilities include maintaining a patient base, writing reports, and practicing the scope of chiropractic as defined by the Illinois Department of Regulations. Responsibilities included maintaining a patient base, answering phones, billing procedures and writing reports for personal injury cases. Responsibilities included assisting members with their fitness programs, ensuring safety of performing the exercises and educating members on proper form. Responsibilities included working in the Occupational Therapy Department with elderly and extended care patients in al health maintenance and wellness program. Additionally, I assessed and assisted stroke and hip/knee replacement patients in their activities in daily living.